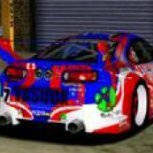 ToCA Race Driver 2 - how to get it running on Win7, Win8, Win8.1 without breaking your PC! To Codemasters: the details below don't explain how to defeat the protection system on the game, nor do they provide any links to help do that, simply to remove it, in order to protect the user's PC. It's up to the user themselves to then find the required file to allow the game to work. I hope this doesn't contravene your rules, as I'm just trying to help people play all the ToCA and GRID games on their one PC (much as I do!). This game relies on the Starforce protection system, which works fine in Windows XP and might work on Windows 7 if you install the SFUPDATE patch before running the game, which you can get from their official site here: http://www.star-force.com/support/drivers/ (find the link under "2. Versions before 5.5"). However, the early version of Starforce used will NOT work on Windows 8 (it may even prevent your system from booting) and won't work in Windows 8.1, so you'll need a workaround, as detailed below. 1. Install game from DVD-ROM, then DO NOT START THE GAME. 2. If you installed the game from the autorun menu, Exit it. 3. Download and install the 1.2 patch, this can be found on the Patches Scrolls site, again DO NOT START THE GAME. 5. Download the Starforce removal tool from http://www.star-force.com/support/drivers/ (find the link under "2. Versions before 5.5"). Run this to ensure Starforce is removed. With any luck (i.e. you didn't run the game yet) then no Starforce drivers will be found! 6. You now need to locate a ToCA Race Driver 2 "No-CD" patch. I can't help you at this point, but searching online should help. Make sure your download is for version 1.2 of course, as you installed the patch for that in step 3 above. Also, please virus check whatever you download, as there's no guarantee it'll be virus free. 7. The file you download may be a replacement RD2.exe file, in which case, just copy it into the folder you installed the game into, overwriting the original. 8. If you do use Creative ALchemy, set up a path in it to the game's install folder, so that the EAX (environmental audio) can be enabled in-game. 9. Run the game's "Setup ToCA Race Driver 2" link, to set up the graphics and sound. Note: the maximum refresh rate available under "Graphic -> Advanced Settings..." might not be the highest your monitor can take. So once you've applied the settings you with, click "Save and Exit", then open the pchardwareconfig.ini file (in the game's install folder) and change the "FullScreenRefresh=" to the maximum refresh rate you wish to use (on my monitor it would only let me select 120hz in the settings, but I changed this to 144hz in the .ini file, which my monitor can take). Note: with regard to resolution, widescreen resolutions can be set, but the game will be stretched (fat looking images! ), so best to run with a 4:3 resolution, as the game was made for that!